Only 24 Limited Editions of Each Available! 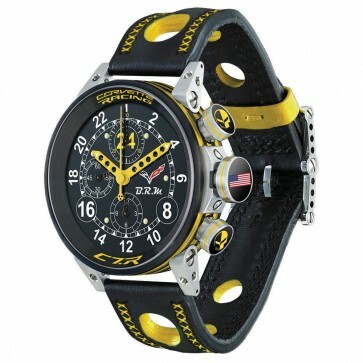 Honoring the 2015 24 Hours of Le Mans and Corvette Racing’s Dual C7.R Track Cars, this Limited Edition timepiece channels the “Take No Prisoners” spirit of Corvette Racing through industry-leading technical precision and quality craftsmanship. Emphasizing a special 24 hour dial, this automatic movement timepiece features a 44mm stainless steel and black PVD case, pushers with the iconic “Jake” logo. Crystal sapphire front and back with either the #63 or #64 etched on the back (customer choice). Includes custom-painted ultra-light hands, date display, 3 chronograph subdials and a screw down crown with the flag of the USA! 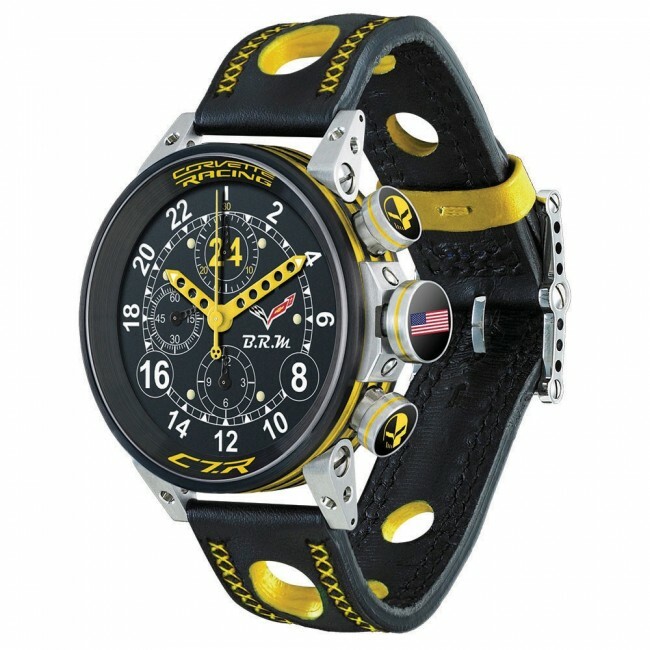 The dial and bezel feature the C7 Crossed Flags, Corvette Racing and C7.R logos. The band is made from custom-dyed leather hand-stitched in yellow. Water resistant to 100 meters. 3 year manufacturer’s warranty.